For a guy like me who still draws with stick figures at age 37 (ok, nearly 38), who am I to know anything about art. And as a kid who was into sports and music, I was bored just thinking about art and drawings or staring at a painting. Slowly over time, I’ve come to appreciate artistry and imagery of those who are blessed with such abilities, but still have no real understanding of what is good, exceptional and and/or a masterpiece. Ultimately for me, I appreciate what is “behind the art” when it grabs my attention with the meaning of what the impression is trying to communicate (which admittedly it not too often does). This past weekend in Malta, I found myself in worship of what was behind the masterpiece that I was gazing at. Let me be clear, I was not worshiping the art itself (it’s just a painting), but worshiping our God in heaven, who inspired the Bible, and of which this artist’s impression of Matthew 14 was created. This masterpiece has been there to share with the world for now more than 400 years. In Valletta, Malta is the St. John’s Co-Cathedral and therein a massive canvas painting (approx. 5 meters by 4 meters) of Michelangelo Merisa da Caravaggio called “The Beheading of St. John the Baptist”, which was painted at that location in 1608. My great Italian friend (and boss) said that we HAVE to go see this amazing painting that is so well known, otherwise I would have continued down the busy tourist streets and seaside attractions unknowingly missing out on something special. There he was, John the Baptist, laying on the floor with a sword nearby and the executioner with dagger in hand to finish the job. Sorry to be so descriptive, but then again, those raised with Bible lessons all know the story from Matthew 14 about Herod granting his wife’s daughter her request of the head of John the Baptist on a platter after her impressionable dance. We normally don’t really consider the gruesomeness of this reality, nor the days of John’s desperation leading up to this “spontaneous” death. The rest of the scene around John’s lifeless body also artistically brought out other points of consideration. For example, the setting was almost as if in a hallway, just outside the prison rooms, giving impression of the hastiness of the request and not a normal “staged” event in an execution chamber, or public setting. Two other prisoners looking out their bars, perplexed at the commotion of what just happened, without warning. Another onlooker with a seemingly un-approving look, but having to follow the orders given by the tetrarch. A cold, dark, hastily act was portrayed in Carvaggio’s impression of the martyr’s death of John the Baptist. So what would cause me to “worship” God, as I stared at this painting? Of course, it is what is BEHIND the ART, not the art itself. It was, for the last three or four years, often studying God’s Word in Matthew 11 and 14 and being impressed in particular by two contemporary Christian authors (Beth Moore and Erwin McManus) who have expanded my depth and understanding of those days before John the Baptist died. Like you and I often are in life, John was seemingly frightened and scared and even questioned his faith, although for him it was while sitting in prison before his execution. Remember, John sent his followers to ask Jesus if Jesus was the one, or would there be another, implying that in desperation of his unknown future, he needed to hear from Jesus if Jesus was really “the One”! For you and me, we can relate easily, as we often are unsure about what’s ahead and sometimes are filled with doubt and despair, although I’ve never been falsely convicted and awaited a death penalty… a whole another level of desperation. But you and I aren’t John the Baptist either; the man who personally knew Jesus Christ, the man who baptized Jesus (after knowing exactly who Jesus was in stating he wasn’t worthy to baptize Jesus, but it should be vice versa). He saw the dove and heard God say “this is my Son, in whom I am well pleased”, and he, even as a baby in his mother’s womb, jumped in her stomach when Mary came into the room with Jesus in her womb. Yes, John KNEW Jesus was “the One”, and yet, still in despair needed to ask Jesus, needed to hear from Jesus……just simply needed Jesus! So on one hand, Jesus only spoke of the obvious things that all knew in his reply to John regarding him performing many healings and preaching the good news, but not exactly answering John’s question, nor being too comforting. On the other hand, as the men were leaving, Jesus gave John some huge encouragement in speaking so highly of John, to the point that no human born of a woman being greater than John. But it’s that verse, “Blessed is the man who does not fall away on account of me.” that gives the answer. In effect, Jesus was implying that he wasn’t going to rescue John with angels or other, and John was going to continue his purpose that our sovereign God had intended for him, and John was to deal with this reality ahead…… but be blessed by still holding on and believing what he knew, that yes, Jesus is “The One”! In other words perhaps something like this, “John, I’m not going to come through for you in this case, but you know in your heart that it IS ME, and be blessed for not losing hope”. And then the deep words of praise to what John had done for giving his life and ministry to advance the Kingdom like no other! So there I was gazing at this massive painting, deeply touched by what John the Baptist had done in giving his life (even to such a death) for the Gospel message and for walking with God! There I was, praising God in worship for his love and grace and blessings in my life, for my faith in Him, my family, friends and everything else in my life. There I was, thinking about past difficulties that of course didn’t turn out so bad and that I had often been worried for nothing, in contrast to John the Baptist. There I was, knowing too, that Jesus IS “The One!”, for John, for me and all of the world! There I was, in worship of God, not a painting, as He is my reality, “behind the art” and in everything else! 1At that time Herod the tetrarch heard the reports about Jesus, 2and he said to his attendants, “This is John the Baptist; he has risen from the dead! That is why miraculous powers are at work in him.” 3Now Herod had arrested John and bound him and put him in prison because of Herodias, his brother Philip’s wife, 4for John had been saying to him: “It is not lawful for you to have her.” 5Herod wanted to kill John, but he was afraid of the people, because they considered him a prophet. 6On Herod’s birthday the daughter of Herodias danced for them and pleased Herod so much 7that he promised with an oath to give her whatever she asked. 8Prompted by her mother, she said, “Give me here on a platter the head of John the Baptist.” 9The king was distressed, but because of his oaths and his dinner guests, he ordered that her request be granted 10and had John beheaded in the prison. 11His head was brought in on a platter and given to the girl, who carried it to her mother. 12John’s disciples came and took his body and buried it. Then they went and told Jesus. 1After Jesus had finished instructing his twelve disciples, he went on from there to teach and preach in the towns of Galilee. 2When John heard in prison what Christ was doing, he sent his disciples 3to ask him, “Are you the one who was to come, or should we expect someone else?” 4Jesus replied, “Go back and report to John what you hear and see: 5The blind receive sight, the lame walk, those who have leprosy are cured, the deaf hear, the dead are raised, and the good news is preached to the poor. 6Blessed is the man who does not fall away on account of me.” 7As John’s disciples were leaving, Jesus began to speak to the crowd about John: “What did you go out into the desert to see? A reed swayed by the wind? 8If not, what did you go out to see? A man dressed in fine clothes? No, those who wear fine clothes are in kings’ palaces. 9Then what did you go out to see? A prophet? Yes, I tell you, and more than a prophet. 10This is the one about whom it is written:; ” ‘I will send my messenger ahead of you, who will prepare your way before you.’11I tell you the truth: Among those born of women there has not risen anyone greater than John the Baptist; yet he who is least in the kingdom of heaven is greater than he. 12From the days of John the Baptist until now, the kingdom of heaven has been forcefully advancing, and forceful men lay hold of it. This entry was posted in 2009, Jesus, Verses, Worship. Bookmark the permalink. I really like the beautiful wording in the paraphrased passage of Matthew 5:17 of The Message; “Let me tell you why you are here. You’re here to be salt-seasoning that brings out the God-flavors of this earth.” As I try and grasp the depth of this bringing out the “God-flavors” into this world, I ponder how each of us, as followers of Jesus individually and together at a church are salt seasoning and part of something greater. A great recipe mixed together by a chef who forgot to add the salt, would be served as a poor or false tasting product, but the Master Chef, with that supernatural dash of salt, serves culinary creations to the fullest of flavors! So what’s the point? Cooking class from Corey? No, trust me you would want a cooking class from Tanya, not me, but I do hold my own with Mexican dishes! The point is that God has created you, just as you are, to show His grace and glory to the world around you just as we say often at LIFT; to live your faith and to give it away. 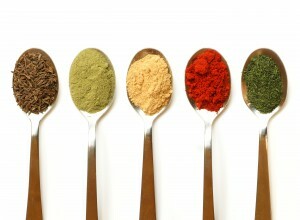 With the salt seasoning of Christ within us, each of us are part of His plan in “seasoning the earth with His flavor”! We will be blessed over the Summer Season(ing) at LIFT the next several weeks in that Bedros, Chas, Robert, Wayne, Ken and I will be sharing the messages on various Sunday mornings. Another way of experiencing different flavors of the Lord as we all have our own different communication styles, but yet will preach from the same Word of God, the Bible! I’m looking forward to it and hope you are as well! See ya this Sunday at Vorstadt. This entry was posted in 2008, Summer Seasoning, Verses. Bookmark the permalink. Today is Ascension Day here in Switzerland, but most people just consider it a “bank holiday”, meaning the banks are closed and many people have the day off of work, but nobody seems to really care why. For those of us that follow Christ, we are so blessed to know that as Christ died and rose again, He also ascended to heaven to prepare for us a place and that someday we will be with Him forever! However, we don’t have to wait until we die to have a relationship with Jesus. This relationship starts the day we believe and receive His gospel message into our life and walk with Him. LIFT’s name has this truth “hidden” inside as we say that as Christians, we are Living In Forever Today, and walking with Jesus already on this side of heaven! Thank You God, Jesus and Holy Spirit as You are alive and well amongst us today and everyday, regardless of whether the banks are closed or not! May we be your witnesses here in Zug, in Switzerland, in our homelands and to the ends of the earth! This entry was posted in 2008, Special occasions, Verses. Bookmark the permalink. His Word In Your Heart! 15 And how from infancy you have known the holy Scriptures, which are able to make you wise for salvation through faith in Christ Jesus. 16 All Scripture is God-breathed and is useful for teaching, rebuking, correcting and training in righteousness, 17 so that the man of God may be thoroughly equipped for every good work. But if anyone obeys his word, God’s love is truly made complete in him. This entry was posted in 2008, Verses. Bookmark the permalink. Not every week do I get to see God’s hand and presence in life so clearly as I did this week. It may sound like such a simple thing, or even coincidental, but I believe and know that “Birdie” was/is from the will of the Father! It all started last Sunday morning during Kidz Time during the LIFT service when Ken spoke to the children about birds. A couple of the kids are studying birds this week (Vogelwoche) at kindergarten. 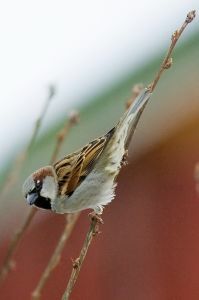 Knowing that, Ken brought in a bird watching book with pictures and used the two verses below sharing how even a seemingly worthless (monetarily that is) sparrow is protected, valued and cared for by God, and furthermore, God values and cares for us as His children even more than sparrows. Are not two sparrows sold for a penny? Yet not one of them will fall to the ground apart from the will of your Father. So don’t be afraid; you are worth more than many sparrows. Take heart, God DOES love and value the sparrows of this world, even Birdie………..and how much more does God love and value you (and me)! Have a wonderful weekend and I look forward to seeing you at LIFT on Sunday as we continue to learn from the words (Red Letters) of Christ. This entry was posted in 2007, Bible, Encouragement, Verses. Bookmark the permalink.